Getting an education in top Ukraine universities is frequently becoming very engaging to many foreign scholars who wants to study medical from all over the world, as over 201,000 of them recently availed themselves of the class of education that these distinguished learning institutions provide. Studying in Donetsk National Medical University in Ukraine gives students from all over the world an opportunity to enjoy affordable and best international education in the field of medical. To be able to study in a Studying in Donetsk National Medical University, a student must clear sets of requirements, namely, admission, travel, visa, and university registration. All necessary documents filled must be translated into Russian or Ukrainian, then approved in the student’s native country. 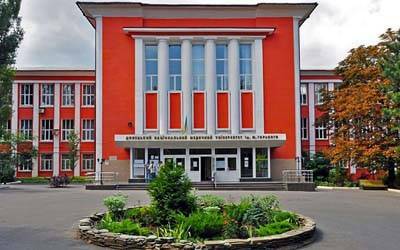 Donetsk National Medical University is the ranked #1 medical university in Ukraine and Donetsk National Medical University provides a huge range of graduate and PG courses. They have a batch of over 10000 students. Donetsk National Medical University is located in the heart of Donetsk. So it is easy to get there. After the university receives all the documents and the students pays the admission fee, a copy of this record must also be submitted. For PG student, a copy of the student’s documents of bachelor’s or master’s degree, copy of the record, and a copy of the student’s project work must be shown. Visa is required for the students who are nationals of countries excluding Hungary, Bulgaria, Italy, Romania, Poland, the United Kingdom, and countries who were once a section of the old Soviet Union (minus Estonia, Latvia, and Lithuania). If everything is fine, the embassy or government will issue the student a study visa which will be valid for one year. Once the application forum requirements are completed and the student’s passport has been impressed with the study visa, travel reservations are the next concern. The two-way plane ticket must be prepared, the immigration card filled out upon landing at the airport in Ukraine, and all related documents such as the original invitation letter, medical certificates be presented and school transcripts. These documents should have already been translated into Russian or Ukrainian and approved in the student’s native country.